Rich: Shea Gunther is a longtime entrepreneur, writer and designer who recently jumped into the new (for him) world of podcasting with Marijuana Today, the nerdiest show in cannabis. He first started working in the world of technology when he raised $10 million as a 21 year old, in the dotcom 1.0 boom, to start a “YouTube too early”, and has kept himself busy with interesting projects ever since. In 2001 Shea founded a wind power business that is one of the top companies in the industry. Following his interest in sustainability he now make a living as a writer for the Mother Nature Network, the top green news site on the web. Shea, welcome to the show. Shea: Thanks, Rich. Yeah, happy to be talking to you today. Rich: Well, I notice you didnt mention 2 things. One is, you were one of the first people in Maine on Twitter. You were like one of my first Twitter friends, back when there were, like, 20 of us. Shea: Yeah, when I go on Twitter and I actually see “you joined on this date”, I have to double check because that was, what, 8 years ago. That’s forever ago in internet time. Rich: And the other thing is, no mention of your role in the upcoming Night Of The Living Deb movie, the zombie romcom? Shea: That’s true! No, I totally should have put that in there. I’m very proud of my role as a zombie, but I am jealous of your part. Rich: Yeah, I don’t know how I finagled that. But for any of you who don’t know what we’re talking about – which is every single one of you listening, probably – we were both in a Portland-based zombie movie that I think is supposed to have it’s Maine premier in May 15th or somewhere around there. Shea: I didn’t know it was coming up. I’ve seen the trailer and it actually looks like a good movie, which is awesome. Rich: Yeah, that is awesome. Well, enough about zombies. You’ve been involved in the web and social media for awhile, what finally brought you around to podcasting? Shea: I guess I have to credit my partner, Kris Lotliker. Kris is the guy I produce the show Marijuana Today with. He does the hosting and I kind of do all the other stuff. He’s a big podcast fan. He’s big into video games, Serial (everyone’s into that), but all the big podcasts and over the past year or two he’s just been talking about podcasts and the benefits that it has over some other forms of media. And he just wore me down. Rich: So you’re the producer for the show, so what is your role there as producer? Shea: Well we figured out very quickly that I do not do well as a panelist. We did 10 warm up shows before we launched our first public show and in the very first episode, even though I knew no one was actually going to listen to it, when Kris asked me a question I froze up and had a slight panic attack. But luckily I kind of know how to do lots of other things that we need to get done. So I do all the editing, I basically do all the technical stuff. On top of that the social media stuff, the marketing stuff, the day to day stuff and whatever else needs to happen in between. Shea: Well, we basically have a stable of regular panelists and every week we assemble a show where we pull in 2 or 3 people, so we have kind of the same 10 or 12 regulars now. So it gives our listeners kind of a chance to know the people that we have on a regular basis, but it’s not the same exact voices every episode. Rich: It’s kind of like Meet The Press for marijuana. Shea: Yeah, exactly. Both in format and in tone. I don’t actually watch Meet The Press a lot, but we’re kind of nerdy. Rich: Honestly I don’t know if I’ve ever watched it before, but it seems to be that show that’s still on the air forever. So what tips do you have? I know a lot of listeners to this show have podcasts or are thinking about it. Audio quality is always a concern or question. So you have any tips for them that you’ve learned form editing and producing the show that would enhance the quality of their own podcasts? Shea: One of the things that we do with our show that has definitely been a really good thing, Kris hosts the show and I’m producing – so I’m on every show, I just don’t say anything – and all the panelists are all around the country. So what we have everyone do is we everyone records their own audio locally so they have a nice clean, crisp track that doesn’t have any internet connection interference. And then everyone uploads those files for me to download and then sync together in post. So that was something that we figured out early on would allow us to get around when the internet goes bad. So I would say that was the biggest thing that we did right from the start. Rich: That’s a great tip, and although I don’t have the benefit of always having the regular cast of characters like you do, I certainly interview enough people who are used to this that they might be able to record it, and I’m sure a lot of my listeners do as well. So you mentioned also that you’re handling a lot of marketing for the show. So what do you do to build an audience for the show? Shea: Well, I’m on social media. There’s like a hundred things you’ve got to do every day. So for us it’s being active on Twitter, responding to people who email us, having a website that‘s well constructed and has all the updated information. It’s really just touching lots of different things throughout the day, all the balls that you’ve just got to be on top of. Rich: Have you found any one channel is especially good for engagement outside of the podcast itself, like Facebook or Twitter, or is it just a little bit of everything? Shea: Yeah, for us it’s been a little bit of everything. We have a pretty good following on Twitter, I mean I think we’re approaching 3k followers. I think we’re lucky in that our subject matter people are pretty passionate and excited about it, so I think it translates to a more engaged community. We definitely have part of an active Twitter community. We kind of got the show going and became popular and decided we needed to get a website going but we had no time. So it kind of took us forever to get a website, get our Facebook account going. So those things are actually just a month or two old. The funny thing is, back in October/November, a very excited fan started a Facebook page for us. We didn’t really have the time to do anything with it and we checked back about a month ago when we started our official one and it had like, 2k ‘likes’. And no one had done anything with it. So we thought that boded well for us. Rich: Do you have an email list that you let people know about the new podcast, or do you just hope that they’ve subscribed using some tool like iTunes? Shea: We don’t actually have an email list right now. We got started on Twitter way earlier than any of our other channels, so that’s been kind of how we’ve been very active updating our listeners as far as when new shows are out. We talked about getting an email list going, it’s just really an issue of limited bandwidth. Both Kris and I have fulltime jobs and families so it’s kind of what happens in the margins of everything else. Rich: Ok. A lot of people are interested in knowing how you make money off of this. I know you’ve got some sponsors, or at least a sponsor, for the show. How did you get that sponsor or how are you doing some outreach to try to get sponsors for the show? Shea: Kind of like our website, our sponsorship outreach has been something we’ve been recently getting our wheels turning. We have 3 sponsors right now. you really just have to get your numbers together and be able to actually tell the potential sponsor who’s listening, who those listeners are and you have to be able to show the benefit of why someone wants to give you money to sponsor your show. So for us it’s really just been pulling together the different stats that we have. We’ve recently been doing some listener surveys. Rich: I saw that on your website. Shea: Yeah, and just the numbers from that we really feel like we’ve gotten enough responses that we have a pretty good handle on our demographic. And it’s great to be able to, both for pitching new sponsors and making the existing sponsors feel good about their money. Rich: Now do they pay you based on the shows that you’re putting out aor based on the number of downloads that you’re getting? Shea: Oh we basically share all of our stats with them and then the way we structure it is we guarantee 4 shows a month. That just gives us some flex in that, like if there are five weeks in a month or one of us is sick or something. So we don’t actually have our structures in setup with a certain number of PPC or CPC rate, we’re really just telling them it’s this much right now. Rich: Ok. And then how are you promoting them within the show? Do you have a little blurb at the beginning, do you have a midway section, or how are you giving them their shoutout? Shea: So we have a few different sponsorship categories and depending on what kind of sponsor you are, you get different mentions in the show. The top level “title” sponsor is a company called the ArcView Group. At the beginning of the show the first thing we lead into is “this show is sponsored by ArcView Group”, and then we talk a little bit about them and it actually goes into the intro music. And then in addition to that, they also get about a 2 minute segment right before our first music break where Kris talks pretty in depth about ArcView and what they do. And then at the end of the show they also get thanked. So it’s pretty thick for the title sponsor. And then underneath that we have segment sponsors so I try to do about a 2 minute news segment in the middle of the show, so we have a new sponsor that they get about a 30 second to a minute introduction and promo during that news section. And then lastly we have our finishing moves segment, which is just at the very end of the show. All of our panelists get a minute or two to talk about whatever they want and our finishing sponsor gets about a 20 second introduction just saying, “Hey, here’s our finishing sponsor,” which is thehappycrate.com. Depending on how much money you give us, you get more time. Rich: That makes a lot of sense. I also notice you have some creative ways of promoting people outside. I was over at your Facebook page and your Facebook profile pic was actually your lead sponsor. Shea: Yeah. Well, I mean we live and die by our sponsors so we definitely want to make sure that they’re getting exposure that they should be. Rich: One of my frustrations with the show – and I’m totally not ragging on my listeners right now – but I put my voice out there and I don’t always get that feedback that I might get when I post something on Facebook or Twitter or even my blog. Maybe it’s just the format, maybe it’s the channel, maybe it’s the fact that it’s more difficult to respond to somebody who’s on a podcast. Do you get much engagement from your audience? I know your numbers are growing and getting better.Is there any other kind of two-way communication that you’ve experienced? Shea: Our listeners are awesome with contacting us. We’ve been getting emails pretty much from the start and it’s been good because the same people have been writing to us about 9 months now and are becoming our friends. So I think in that respect we’re lucky. I think it might just be our topic. People are really fired up about marijuana legalization and all the new markets that are opening up. There’s a lot of entrepreneurial energy around in our world, so it leads to a lot of people who are just really fired up about it. Rich: When you’re getting these emails – or if they’re leaving comments on Facebook or tweeting to you – do you have any specific ways that you’re engaging people or are you just thanking them for their time? Do you answer their questions, do you do a mailbag episode every once in a while? Shea: Yeah. We don’t do an entire episode, but every now and then we definitely will. Well, every show we answer emails, so after our second break we always have a couple emails that we answer. We did do a show a few episodes back where we kind of had a heavier segment and it was one of our more popular segments. People definitely like hearing us just talk about what they want to hear about. With the emails we definitely try to hit everyone back. If they take the time to email us, they deserve a reply. 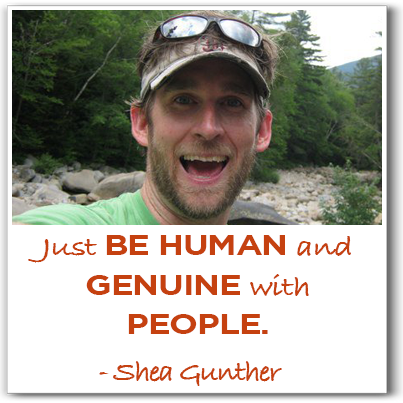 Sometimes we’ll share our thoughts in the email, other times they’ll just say, “Hey, that’s something that we’re going to talk about on the show this week.” So yeah, just be human and genuine with people. Rich: Good advice. So speaking of advice, if someone is listening here and they haven’t yet started their podcast or they’re just getting in, what tips or advice do you have, or what things should they avoid as they get into podcasting? Shea: Good question. I would say one is to make sure your equipment is right. You don’t have to spend a million dollars but you do need good, quality audio. Rich: And what do you usually recommend for your regular guests? What’s their setup? Shea: Well, we’ve actually bought a lot of our regulars microphones. I think the Blue Yeti is the one that we use. I actually have a $20-25 Amazon mic that I’ve been using that I got a few years ago. Whatever you use, you just have to make sure that you’re not getting any crackling and you’re recording in a quiet space. I will say that I definitely have a lot to learn about audio production and that’s definitely one of my goals for the next year is to learn more about that. But whatever it takes, you’ve just got to have clean audio. Rich: Absolutely. Now you’ve built up the show and it’s been going for 9 months. Obviously this is a topic that albeit may be controversial in some areas, it’s certainly something that people are very passionate about. Have you thought of creating either a live event or taking things offline or building a community around the podcast? Shea: Well we actually did a live event pretty early in our history back in October or November. Kris and I were involved in starting up Students For Sensible Drug Policy, which is one of the top drug forum organizations that’s fighting for drug policy. And we were at one of their big, international conferences and we actually did a live show in front of the audience. We basically had a panel discussion on the history of the organization and we recorded it live and put it up. We weren’t sure if it was going to work but it did and it’s actually one of our more popular shows. So that’s definitely something we plan to do more of. In June we’re actually going out to Denver for the big marijuana business conference and we’re going to do the same thing and basically get our panelists up there in front of a few hundred people and record the show. As far as community goes, that’s definitely something that we want to do and we know that we have to do. It’s really just doing it right and you don’t want to mess it up. So yeah, it’s on our radar. Rich: You’ve got sponsorships, obviously that’s one way that you’re paying for the show and monetizing it. Do you have any other strategies right now that you’re using or planning on using to generate more money off the show? Shea: Really we’re just going to grow our audience. We’ve kind of set and figured out our next sponsorship structure. We don’t want to add any more sponsors, we just want to get more listeners so that we can get more money for sponsors. Really for us its just focusing on growing our audience, investing money back into traffic and advertising and really just trying to get more listeners. Rich: I just picked up on the fact that you said “advertising”, are you doing advertising to promote the show? Shea: We have dipped our toes in the water just a little, tiny bit with some ads on Reddit. That’s definitely our next month plan is to start doing some Google advertising and thinking about maybe doing some Facebook ads. We just want to make sure that we do it right. And also again, Reddit is a good place to spend some targeted money. Rich: So of all the places that you could have mentioned, Reddit was not even on my radar. Now of course my business and my clients don’t tend to hang out on Reddit, as far as I know, but I could see where it would be good for you. Very briefly, how do you advertise on Reddit? Is it based on the newsgroups that you’re advertising in or are there different ways that you can target your ads? Shea: So Reddit is just made up of thousands of subReddits. So anyone can start a subReddit on any topic. So the way that you advertise on is you find a subReddit that has people that you want to reach out to and you can actually buy ads to show up in that subReddit. So for us, its one of Reddit’s most popular subReddits, but it’s a subReddit called “Trees” and it’s just all about marijuana. Anything from pictures of people smoking to people asking questions about drug testing and the whole gamut of the marijuana culture can be found in there. And then there are smaller, more targeted subReddits that are a little smaller but a little more targeted in their niche. So yeah, we’re going to be spending some money there. Rich: This is interesting. So when you’re doing all this, where are you sending them? I know you said your website is just a month old, but the show has been going on for 9 months. So where were you sending them before, and are you now sending them to the website? Shea: We just launched our website, which is mjtodaypodcast.com. What we had up before there was we were sending people to Shout Engine, which is our podcast hosting company. So we have our profile page there which was kind of our stand-in website until we got our main site up. Rich: Now can people also check you out at iTunes? Shea: Yup. If you just go to iTunes and search for Marijuana Today or just marijuana, we come up pretty high. Rich: Awesome. No pun intended. You just gave us a couple of links, but just curious, where else would you like us to send people to search for Marijuana Today or for your own bad self, Shea? Shea: Definitely go to marijuanatoday.com. I always tell Kris that whenever he says an url he has to say it twice. So, mjtodaypodcast.com. You can also check us out on Twitter. And you can find us on Facebook, MJTodayPodcast. Rich: Wherever you want to go, you guys are going to be there with MJ Today. And of course we will have links to all of those sites that Shea shared with us, a you can go check them out and give a listen to the show and see what you think. Shea, I just want to thank you very much for your time today. I appreciate you stopping by. Shea: Thank you, thank you. Check out Shea’s podcast (potcast?) for yourself to learn more. Visit Marijuana Today’s website for all of their latest news and information. Check out Marijuana Today’s official Facebook page. Want to exchange tweets with Shea and his group? Follow them on Twitter. Are you a podcaster or aspiring podcaster from Maine? The Marketing Agents Podcast host, Rich Brooks, has started a Facebook group for you, The Maine Podcasters Alliance! Feel free to join this informative group that is guaranteed to inspire and educate. 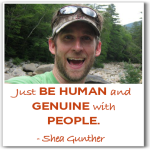 This entry was posted in Entrepreneurship, Podcast and tagged podcast, podcasting, shea gunther by Rich Brooks. Bookmark the permalink.